Commemorate the White Ranger! 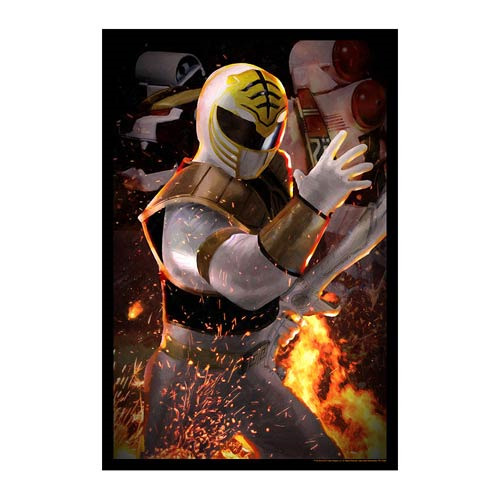 This Mighty Morphin' Power Rangers The White Ranger by Louis Solis Lithograph Art Print features a stunning image of the Mighty Morphin' Power Rangers character in a battle-ready stance with Saba in-hand and his White Tigerzord ready in the background. A limited edition of 993 and-numbered pieces, this stunning lithograph comes complete with certificate of authenticity! Measures 24-inches x 18-inches.